Related to this are other questions, such as “What strain should I take, and what range of cannabinoids and terpenes are best for my condition/s?” In some ways, this is a good, because patients are becoming increasingly aware of the concept of chemovariance. That is, there are various compounds in the cannabis plant that, in certain ratios, could be more (or less) beneficial. On the other hand, there is a little rain that comes with this silver lining, because we often have to answer these questions with, “We do not know. We just don’t have the clinical studies showing for definite which cannabinoids and terpenes – and in what ratios – can be used for specific conditions… [But with a glimmer of hope]… yet”. Is this cannabis plant really more addictive than opioids? 1. What condition/s are you using the cannabis for? Do you suffer from more than one (comorbid) condition? There are many people who go to the doctors and say, for example, “I’m suffering from irritable bowel syndrome (IBS), and I’m looking for cannabis to help with that.” Then, at the end of the appointment, they say something like, “Oh, and I suffer from depression, too.” This is a problem in all of medicine, and not just in the medical cannabis world. Perhaps one of the most common comorbid conditions are anxiety and depression. Those of you who have read through many research studies will notice that many people who suffer from depression also suffer from anxiety. Anecdotally, some will see certain patterns in preference that those who suffer from depression tend to prefer sativas, whilst those who suffer from anxiety tend to prefer indicas. However, a person who suffers from anxiety may want to use low levels of THC, but not too much, as THC in high doses can trigger anxiety. The anxious-depressive will likely need the THC for mood elation in order to combat depression as well, but again keeping in mind that a little bit too much THC may trigger anxiety. Learning how to “balance” the THC with CBD and other cannabinoids seems to be key. One solution for someone with comorbid anxiety and depression? Microdosing a small amount of THC via tincture or edible (say, around 3 mg), or taking the dose in a vape pen for situations when a more immediate effect is needed (e.g. a sudden anxiety attack). Another option would be to try and find sativa/indica hybrids in the right ratio to help with both disorders. A similar line of thought can be used with other comorbid conditions as well, where microdosing a therapeutic level may be ideal in order to see where you feel most comfortable. A total of 2.5 mg of cannabinoids may be a good place to start. Rather than trying to think “what strain do I need for which condition?”, it might be better to look at a more standardized measurement. Cannabinoid-terpenoid ratios are likely to be more important than the strain name itself. Different strains can have a similar or the same ratios, and this is likely to be a better indication of effect. With this in mind, it should also be stated that, even though the indica/sativa distinction is a rough one, there are some patterns. Indicas generally do (but not necessarily always) contain more CBD (as well as terpenes such as myrcene) than sativas. Sativas from equatorial regions, meanwhile, seem to generally contain more tetrahydrocannabivarin (THCV) than indicas, and seem to more often contain terpenes such as limonene and beta-caryophyllene. Alpha- and beta- pinene seem to be present in both types of cannabis to varying extents. Ruderalis plants have often been tested to have high amounts of CBD. Hybridization has blurred the lines of distinction between cannabis varietals, meaning that the same genotype can express distinct phenotypes with their own cannabinoid-terpenoid ratios. This can improve hybrid vigor and sometimes even save genetics from extinction, but there is value in keeping landrace, non-hybridized strains for their potentially unique properties. Certain strains may contain very unique and beneficial (or sometimes potentially even neutral or harmful) cannabinoids. Remember, there are 144 different identified cannabinoids/sub-cannabinoids, and around 212 terpenes in the cannabis plant. Different environments and conditions will effect what ratios are expressed in the plant. Measuring for all of them accurately in a plant that usually expresses high amounts of variation is extremely difficult. One of the reasons why companies like GW Pharmaceuticals are able to create relatively stable 1:1 THC:CBD ratios (actually closer to 49:51 THC:CBD due to a small problem in the original assay) is because they have cultured one strain that produces CBD only, another that produces THC only, extract the cannabinoids, and then mix them together. Those making tinctures or products from plants grown by themselves or others in vastly different environments are likely to be unable to achieve such consistency. However, whilst these products may not be perfect, they may well contain things that products such as Sativex don’t contain. Again: there are hundreds of cannabinoids/sub-cannabinoids. Whether the plants produced by companies such as GW Pharmaceuticals contain even ratios of all the cannabinoids and terpenoids other than THC and CBD is questionable. Natural phytocannabinoids derived from the actual cannabis plant usually seem to be more well-tolerated than their synthetic counterparts. There is likely to be some value in semi-synthetic and synthetic cannabinoids in a medical setting, but care must be taken with these substances. To reiterate: different people suffering from different conditions are likely to require different cannabinoid-terpenoid ratios and dosages. There may be patterns with regards to condition and commonalities in physiology, but overall it seems everyone has a unique ECS; and to which degree there is a difference needs to be ascertained. 2. Are you taking any other medications? CBD deactivates the liver enzyme, cytochrome P450. Many drugs are metabolized by this enzyme, including benzodiazepines, antiepileptic drugs (AEDs), diuretics and many others – over 50% of drugs are metabolized via the cytochrome P450 and other CYP enzyme pathways. THC and CBN are thought to desensitize cytochrome P450 as well, but to a lesser extent than CBD. This means that care must be taken if other pharmaceutical drugs are used in combination with cannabis, as well as potentially meaning that fewer other drugs need to be taken. So, for example, a person who is suffering from epilepsy may need to taper the amount of AEDs they need to take. Do you want to be able to walk a mile? Do you want to be able to walk around during the day without a cloud over your head? Do you want to be able to sleep and/or eat properly? Have some goals in mind, and this will help you figure out the best dosing strategy for your needs. … Meaning that some people may need high doses of a particular cannabinoid or set of cannabinoids. Of course, this is condition-dependant as well. Moreover, as everyone has a different endocannabinoid system (ECS), what works for one person may not work for another. Although it’s definitely worth asking others what their preferences are, it’s more important to find your own therapeutic range. Now, although everyone has a different ECS, there may be some generalizations we can make. The age of the patient makes a difference, and younger people may be more prone to the negative effects of THC, whereas older people may benefit from a small dose of THC. Due to hormonal differences, women may also be more sensitive (as well as potentially more tolerant) to the effects of THC. As for weight, the effect cannabinoids have do not seem to be influenced so much by it. We do not know precisely why this is, and it is possible that body-mass index (BMI) has some sort of effect upon how much THC is retained in the body, but it could be due to the total “concentration” of cannabinoid receptors in the body. 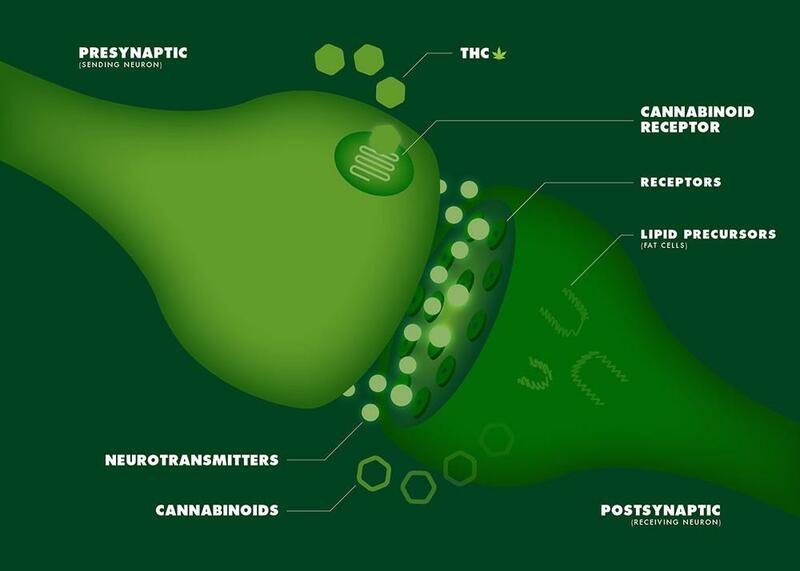 The Endocannabinoid System (ECS). By Echo. Picture from https://echoconnection.org/look-endocannabinoid-systems-cb1-cb2-receptors/, April 18, 2017. 6. A wide range of cannabinoids and terpenes may be best, especially to start with. In our study, the most popular strains people mentioned using (most notably Blue Dream and OG Kush) tended to have very wide terpene profiles. Part of this may be because these are just the two most popular strains, but there could be a very good reason for this. The cannabis plant, just like the human body, has its own checks and balances. Should one particular compound overproduce, another compound will be released to mitigate the effects of that compound. A wide terpene and cannabinoid profile may help reduce the negative effects of other compounds to some extent. Again, much of this is condition-dependent, but it is a concept worth bearing in mind should you be tempted to start hunting for a particular compound. We must be careful of saying, “this strain (ex. Blue Dream) will definitely contain these terpenoids and cannabinoids.” Yes, some strains of cannabis do seem to follow a certain pattern, but this can change significantly over time. 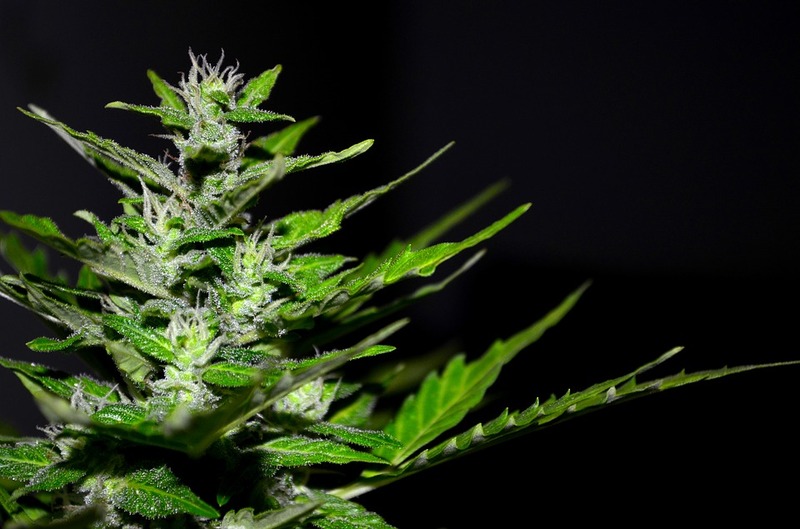 Even cannabis plants that are reproduced asexually can differ, as mutations arise. Growing the same genetics in a different environment can also affect the cannabinoids and terpenes it contains. The cannabinoid-terpenoid profile of a cannabis plant also depends upon when it was harvested during its flowering cycle – basically, it makes a difference if a plant was harvested at 9 weeks or 10 weeks. Some say that, when a plant has more clear and cloudy trichomes (small “hairs” that contain the cannabis plant’s cannabinoids, flavonoids and terpenes), it has more psychoactive effects. As the trichomes turn a darker and more amber color, the effect is thought to be more “relaxing”, as the THC degrades into CBN. By this we mean THCA, CBDA and so on. These work synergistically with other cannabinoids, and increase their therapeutic effects by several magnitudes. THCA combined with CBD, for example, may have significant anti-inflammatory properties – more than just using one or the other on their own. Also, acidic cannabinoids are often very volatile, meaning heat, light and air will convert them into THC, CBD etc. and degrade over time. This means that the only feasible way for many to get these compounds is by ingesting whole plant preparations that have not been extracted using heat. High-quality, tested ethanol extractions, oil extractions and pressure extractions are likely to be best (depending upon condition) for medically-minded people. 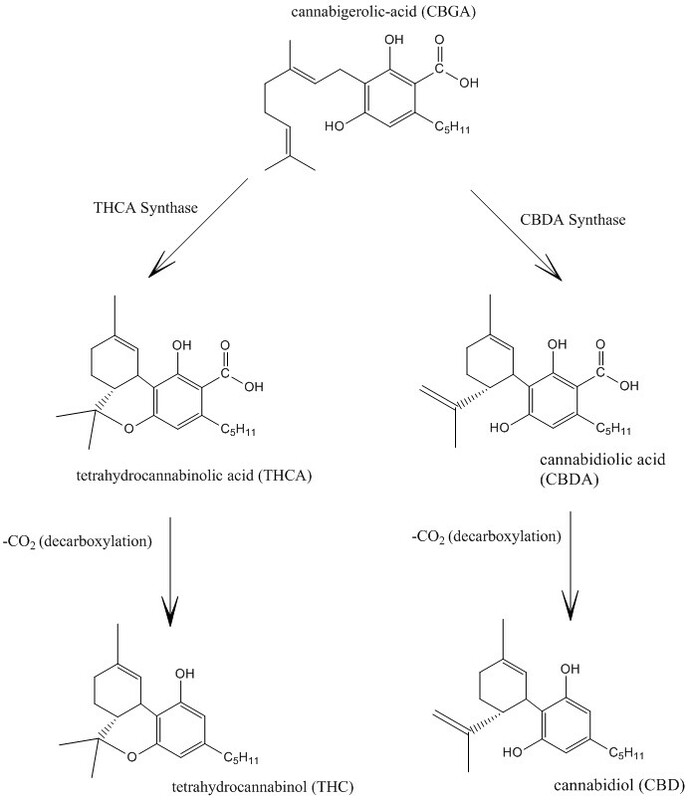 Biosynthesis from THCA to THC and CBDA to CBD in the human body. Non-decarboxylated cannabinoids may have their uses for many medical conditions. Every so often, we see the marketing machine going into overdrive, and certain cannabinoids and terpenoids become the flavor of the month. CBD is perhaps the biggest example of this, and many people say things like “I just want the CBD, not the THC” This is the wrong way of going about things. Moreover, it’s unscientific. Some people, for example those who suffer from cancer or neurological conditions such as multiple sclerosis, may need THC in order to beat pain and/or spasms. Also, without the THC, the CBD generally doesn’t do as good a job. CBD is a powerful antiemetic. Combine a little THC and CBDA with that, and the CBDs becomes an even more powerful antiemetic with fewer side effects. For a person with ADD/ADHD, a sativa with THC and terpenes like limonene, pinene and beta-caryophyllene may be useful, although those who are prone to anxiety may wish to give such a profile a wide berth. Do not be lulled by marketing, and do not pay too much heed to those who speak ill of THC or any other cannabinoid or terpene. The entourage effect is very real. Yet, for all the problems associated with “hunting” for specific cannabinoids and terpenoids, it does seem that some conditions respond best to certain profiles. We do not know precisely which profile is best for which condition (the human trials still need to be done), but there do seem to be some patterns. The following table will hopefully illustrate this, but please be warned that this is more “theoretical” and based upon observations rather than any definitive clinical evidence. We also recommend taking any advice on strains with a pinch of salt, but we hope that it gives a place to start from. Anxiety Low dose THC, CBD; myrcene, linalool; pinene. However, for PTSD, a higher amount of THC may be needed as sufferers have a greater number of CB1 receptors but lower amounts of anandamide ACDC, Cannatonic, Grand Daddy Purple (GDP), Cheese, Northern Lights, Sour Tsunami, Blue Dream. High doses of THC. Although beta-caryophyllene and limonene may have anxiolytic effects, when in high concentrations and combined together they may prove negative. Many sativa strains seem to fit such a profile (but by no means all), so keep an eye on the terpene profile. Tincture, edibles, vaporizing. Tinctures can be used for long-term effects, whilst vaporizing can possibly provide more immediate relief. Microdosing THC may be best to avoid any anxiety attacks. Cancer Different types of cancer require different cannabinoid profiles. Some say that high doses of all cannabinoids are needed for cancer, but there is no clinical evidence that this is the case. What does seem to be interesting, especially with regards to cancer, is that the method of extracting cannabinoids matters. Ethanol extractions (e.g. Rick Simpson Oil) seem to be most effective for cancer patients, as cannabinoid bonds and acidic cannabinoids are retained. Depends on the type of cancer. From the anecdotal experiences we have heard, strains such as White Rhino/Medicine Man, Bubba Kush, Purple Kush, Harlequin, White Widow and Super Lemon Haze seem to have helped, with a general preference for indicas, but there there is no hard data to show if such varieties are indeed more effective. The strain name itself doesn’t necessarily indicate what terpenes and cannabinoids can be found in a plant, although there may be some patterns. Whole plant extracts are probably ideal. There are many cannabinoids and terpenoids that seem to have antitumor and anticancer properties. Figuring out which ones and in what ratios and for which type of cancer is the hard part. It is commendable to see anyone who specializes in such knowledge, such as the team at Aunt Zelda’s, as it is likely that different cancers will need different treatments. Picking the wrong profile could help the cancer grow. Those going through immunotherapy should avoid cannabinoid treatment, as cannabinoids effect the immune system. Whilst different cancers may require different cannabinoid-terpenoid ratios, there is a certain logic to the Rick Simpson method of cancer treatment. “Flooding” the body with cannabinoids may help beat cancers as it stops cancerous cells from spreading and “giving instructions” to other cells in the body. Tinctures, edibles, dabbing, vaporizers, raw juices (for the acidic cannabinoids) and pretty much almost any ingestion method could be suitable for cancer patients. This depends on the type of cancer, but multimodal ingestion may be best. Smoking cannabis is probably best avoided for cancer patients. Due to the high concentrations of cannabinoids often needed for cancer treatment, the effects can be uncomfortable. Administering cannabinoids via suppository may be useful for such patients. Chronic Pain THC, THCA, CBD, CBDA, CBG. Beta-caryophyllene, myrcene, linalool, humulene, terpinolene and pinene may be useful. Indicas seem to be generally preferred, especially ones from Afghani and/or Indian stock. Strains such as Blueberry, Northern Lights, White Rhino, Master Kush and CBD-rich strains. Due to the pain distracting and relieving effects of THC, it would be fair to say that some amount of psychoactivity may be desirable for extreme pain. Whilst many people have reported positive experiences with high-CBD strains and products, moderate- to high- levels of pain will probably require a good amount of THC as well. Edibles and tinctures may help for long-term pain relief, whilst vaporizing and dabbing may be ideal for short-term relief. Depression Although higher doses of THC may be more tolerable for those with depression than with anxiety, low doses of THC may still be ideal. Some CBD may also be of benefit due to its effect on serotonin receptors. Beta-caryophyllene, limonene, linalool and pinene may be useful terpenoids for depression. Jack Herer, Strawberry Cough, Lavender, Harlequin, Blue Dream. As with anxiety, using too much THC. Microdosing may be ideal for depression. Tincture, edibles, vaporizing. As with anxiety, tinctures can possibly be used for longer-term relief, whilst vaporizing may provide short-term, immediate relief for when “things get on top of you”. Microdosing may help. Epilepsy CBD, CBDA and CBDV; some small amounts of THC may help the CBD and CBDV do a more effective job. Many products designed with epilepsy in mind tend to have high CBD:THC ratios, usually in the area of 20:1 and above. THCA may also be useful, and may possibly be used in conjunction with CBD. THCA may have neuroprotective properties. Charlotte’s Web, Harlequin, Cannatonic, ACDC. Hemp-based CBD. Not much is known about other cannabinoids’ efficacy (or the opposite) for epilepsy. THC seems to have some but little effectiveness as an anticonvulsant. As CBD desensitizes the liver enzyme cytochrome P450, care must be taken when it is taken in conjunction with antiseizure drugs. There is some supposition that too much CBD or badly-extracted CBD may increase the number of seizures. Moreover, CBD may be effective for some kinds of epilepsy and not others. Tincture, raw juices, edibles. 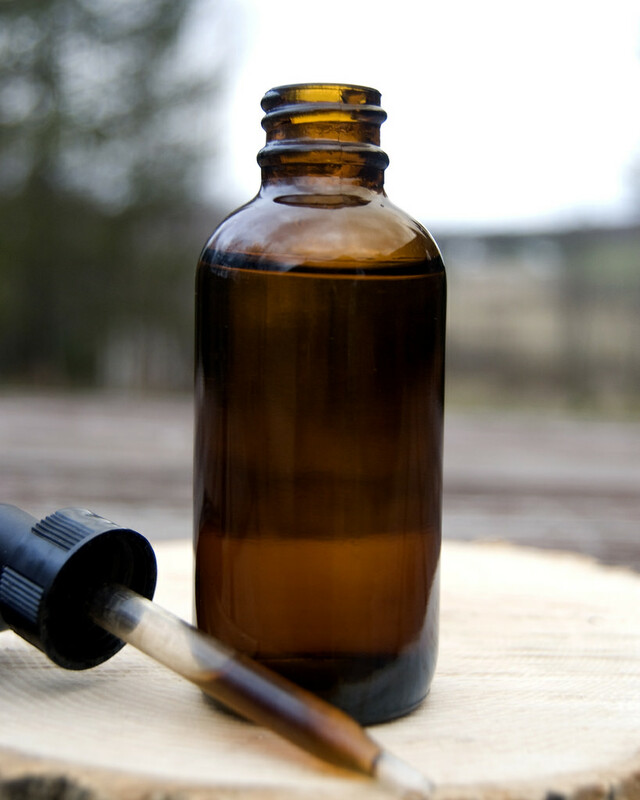 Tinctures are most often used. Care must be taken with raw cannabis juices, as cannabis is a “super sucker” of whatever’s in the soil. Badly-grown cannabis may well contain pesticides and other things that are best not ingested. Insomnia THC, CBN. Some CBD may help, but large doses of CBD may actually promote wakefulness. Terpenoids such as myrcene, humulene and linalool may also help. Limonene may help beat stress and relax, but could also promote wakefulness in large doses. Indicas are usually the first port of call for insomnia. Blueberry-based indicas, Purple Kush, Cheese (a hybrid), Northern Lights and many Afghani-based indicas are often thought to contain high amounts of myrcene, humulene and/or linalool. Too much CBD. Cannabis strains that are high in limonene, pinene and beta-caryophyllene seem to have more “energetic” effects, especially when they’re combined. Many, but by no means all, sativa strains seem to follow this sort of terpene profile, but with less CBD and more THC. Vaporizing a small amount of cannabis may help in getting to sleep. Tinctures may help keep a person in restful sleep. Multiple Sclerosis (MS) THC, CBD. Both can potentially reduce or prevent spasms, as well as inhibit neurodegeneration. THC is thought to be the main reason for cannabis’ antispasmodic effects, but some studies where the primary focus was THC showed only small but clinically-relevant improvements. Sativex, a CBD:THC ratio of 1:1, seems to show more positive results generally. Many MS patients from our study seemed to prefer indicas. To what extent GW Pharmaceuticals tested profiles other than 1:1 CBD:THC is not known, so whether this really is the ideal profile for MS is hard to say, and there may be some need for other profiles for different people, or even for different times of day. Difficult to say. Whilst high amounts of THC may be helpful, the feeling can be unpleasant and overwhelming. What improvements to spasticity an MS patient may gain, they may also see a corresponding loss in balance and coordination. CBD may help mitigate these negatives to some extent. Oromucosal sprays similar to the ones used for asthma are a popular option. Dabbing and vaporizing also provides the more immediate relief that MS usually requires. Tinctures and edibles may be used to help with pain and stiffness, and improving appetite and sleep. Many patients will want to keep awake and have their wits about them during the day, and so will likely avoid using too much THC. Conversely, at nighttime, THC, linalool and myrcene may be more helpful (high amounts of CBD can actually help many people keep awake). As an example, some patients may use a CBD:THC ratio of 3:1 during the day, and then a 1:3 ratio at night in order to help them sleep, and essentially mixing the ratios together so they are 1:1 overall, assuming that both products have an equal total cannabinoid content. The terpenoids matter, too. Where limonene and beta-caryophyllene may promote wakefulness in combination with THC and CBD, linalool and myrcene may promote restfulness in combination with THC and CBD. 10. Remember: not all products are the same! Think that all 3:1 preparations (or indeed any other ratio) are the same? Think again! Different extraction methods will likely have different effects, so a 3:1 CBD:THC ratio from one company will differ quite significantly from another company’s preparation. This is because both companies will likely be using different plants to make their products, meaning that there may be many other cannabinoids and terpenoids getting into the preparation, on top of any differences in extraction technique. Assuming we are writing about tinctures, the oil that is used as a base will affect absorption rate to some extent as well – olive oil and MCT oil are the usual choices, due to them being more readily absorbed and their potential health benefits. So, although we cannot give you any definitive advice on what type of cannabis or what cannabinoid profile may be best for you, both scientifically and legally, we hope that we can help patients to some extent, as there is precious little information on all of this. Now, before we bid you adieu, we’d like to thank Mara Gordon of Aunt Zelda’s, Professor Roger Pertwee, Jeff Raber and many others (honestly, the list is long), who have helped us understand dosing and titration so much better. Let’s hope that the laws surrounding cannabis are at least loosened, if not thrown away completely, so that we can get a better understanding of how to utilize the medical potential of this amazing plant.